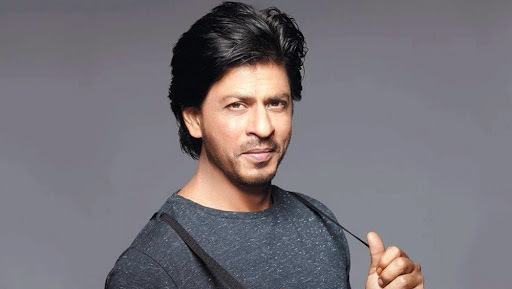 Beijing, April 10: Bollywood star Shah Rukh Khan is set to take part in the Beijing International Film Festival (BIFF), scheduled to be held between April 13 and April 20 here. Legendary filmmaker Satyajit Ray's classic Pather Panchali and Khan's last release Zero are among the five Indian films that have been listed to be screened during the event. Zero, which also stars Anushka Sharma and Katrina Kaif, will close the movie gala. Khan, along with Bajrangi Bhaijaan director Kabir Khan, is due to take part in 'China-India Film Cooperation Dialogue', according to the brochure circulated by BIFF. China has emerged as a huge market for Indian films in recent years, with Aamir Khan's Dangal, Salman Khan-starrer Bajrangi Bhaijaan and Irrfan Khan's Hindi Medium doing well in the country. Shah Rukh Khan Appreciates the Hospitality of Arsenal Star Mesut Ozil and His Fiance Amine Gulse: Shares Picture With Them on Social Media. Thriller drama Andhadhun, which released in the country on April 3, has already crossed the Rs 100 crore mark at the China box office. According to BIFF, the dialogue segment seeks ways for the common development of Chinese and Indian films and, creates more opportunities for further strengthening film cooperation between the two neighbours. The panel will also feature some of the Chinese film personalities, including Wen Muye, director and screenwriter of Chinese film Dying to Survive. The film portrays the struggle of a cancer patient who uses smuggled Indian drugs as they are affordable compared to the highly expensive medicines. The movie led to the liberalisation of government's drug policy though Indian drugs have not yet been officially permitted, which is the main demand of India to boost exports. Other films to be screened under BRI countries category include two more of Ray's work - Apur Sansar and Aparajito, romcom Love per Square Foot and thriller Ittefaq. Bollywood movie Sir, which premiered at Cannes Film Festival 2018, will also be screened separately. It is significant that China has included the Indian movies clubbing them along with those from the BRI countries ahead of this month's second Belt and Road Forum(BRF) which is likely to be boycotted by New Delhi. India has objected to BRI as the China-Pakistan Economic Corridor (CPEC) which is its flagship project is being laid through Pakistan occupied Kashmir (PoK).